Republican State Rep. Rodney Anderson leads Democratic challenger Terry Meza by 64 votes in a western Dallas County Texas House district that's accustomed to close contests. Now, there will be a recount. The tight Texas House District 105 race between Republican state Rep. Rodney Anderson and Democratic challenger Terry Meza is headed for a recount. 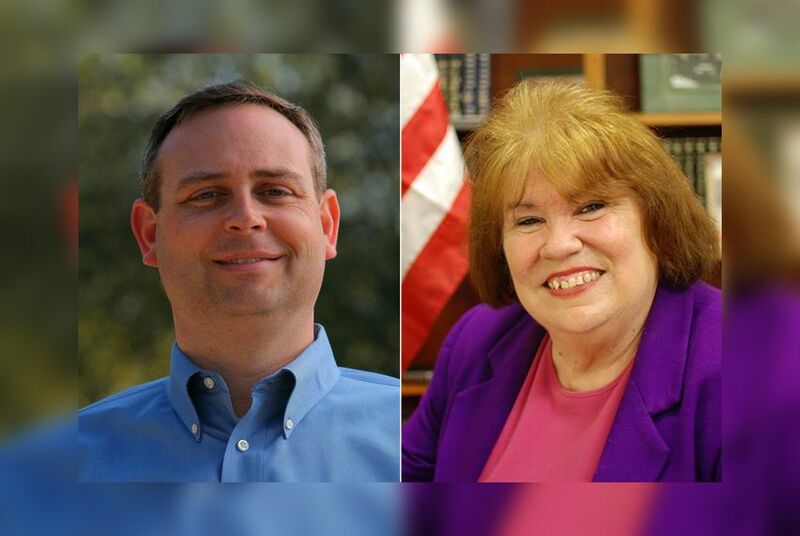 Meza trails Anderson by 64 votes after all accepted provisional ballots were counted Monday. "That is final," said Dallas County elections administrator Toni Pippins-Poole of the tally. Earlier Monday, the Secretary of State's office approved Meza's request for the recount, which is scheduled for Nov. 28. "I'm cautiously optimistic and just feel like we owe it to the voters when we say, 'Every vote counts,'" Meza said Monday. Anderson did not respond to a request for comment Monday. The current vote difference is less than one-fifth of a percent of the 47,376 ballots cast. But this western Dallas County district that covers parts of Irving and Grand Prairie is no stranger to close contests. Former State Rep. Linda Harper-Brown famously held on to the seat in 2008, when she beat a Democrat by a mere 19 votes. That race also went to a recount and prompted a series of lawsuits that stretched the contest into December. But the race had higher stakes eight years ago: Harper-Brown's eventual victory gave Republicans a narrow 76-74 majority in the lower chamber. Now, Republicans hold a comfortable majority in the 150-seat chamber regardless of who wins this seat. The race this year was one of four closely watched contests in Dallas County, where Republican incumbents battled challengers in a Democratic stronghold. Republican State Reps. Linda Koop and Cindy Burkett handily held on to their seats, but fellow GOP incumbent Kenneth Sheets was ousted by Democratic attorney Victoria Neave. In the campaign for District 105, Anderson, a title insurance executive, touted his accessibility to constituents and support of law enforcement. He also supported suspending controversial STAAR testing in schools. Meza criticized Anderson's acceptance of campaign contributions from a payday lender and said he and other lawmakers haven't done enough to reform the beleaguered Child Protective Services. Meza didn't think the race would still be up in the air weeks after the election. She's glad that the vote difference narrowed as more ballots were counted. She isn't ruling out the possibility that a recount could put her ahead, but she's not assuming that'll be the outcome, either. "Because the number is not that small," she said. Straight-ticket voting is generally popular with the political party in power, but not all Texas Republicans like it. The advantages and disadvantages vary widely by county. Former Gov. Rick Perry is scheduled to meet with President-elect Donald Trump on Monday.